There are a wide variety of OE, original equipment GM LS cylinder heads that flow excellent numbers and perform right from the production line. Depending on the application, the L92/LS3/LS7 cylinder head can support well over 1000+ horsepower. Take these heads and have them Custom CNC ported by a company like West Coast Cylinder Heads and now you are talking some serious power potential! LS1, LS6 and LS2 heads feature cathedral shaped intake ports and measure 3.125” high by 1” wide. These can be identified by their tall, narrow shape and radiused top profile. 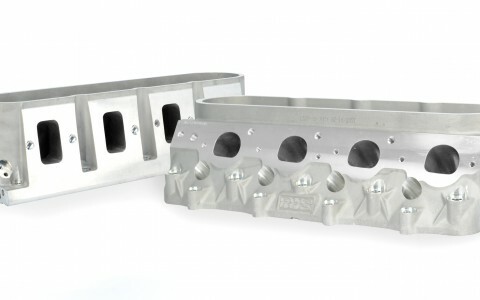 The LS3, LS7 and L92 heads feature rectangular intake ports measured at 1.250” wide by 2.550” tall, while the intake ports on the LS7 head are 1.350” wide by 2.40” tall. The LS7 cylinder heads feature CNC-machined combustion chambers, intake and exhaust ports. All other heads feature as-cast, rough finished chambers and ports. The LS7 cylinder heads feature a wider valve layout when compared to all other LS cylinder heads. If installed on any other OE LS block it would result in valves contacting the bores. All OE LS cylinder heads feature a cylinder bolt layout that provides four bolts per cylinder. This provides an excellent clamping load, and evenly distributes the clamping force around each bore location. There are aftermarket cylinder heads and blocks available such as the LSX that feature six bolts per cylinder for high boost applications. Featured here are LS7 cylinder heads from RHS. The LS3, LS9 and L92 all use the same cylinder head foundation, featuring a four-digit identification number. The LS7 cylinder head is cast with identification number 8452 while the LS3, L92, and LS9 are 5364. The LS7 cylinder head is equipped with a single straight valve spring while the LS3, L92 and LS9 feature a tapered “beehive” shaped spring. LS2 blocks can use LS1, LS2, LS3, LS6, LS9 and L92 heads. 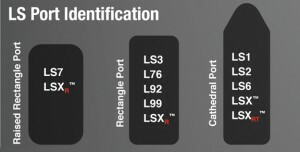 LS3 and LS9 blocks can use LS1, LS2, LS3, LS6 and LS9 heads. LS7 blocks can accept any LS head. One other difference to note is the LS9 block uses 12mm head bolts while all others use an 11mm. The LS7 rocker arms feature a 1.8:1 ratio while all other LS engines are at a 1.7:1. OE rocker arms feature a trunion bearing at the pivot point. This has been found to be a weak point in the LS valve train when running aftermarket high-lift camshafts and stronger dual valve springs. The bearing cages can fail allowing the needle bearings scatter into the engine. There are several aftermarket options to fix this issue. Brian Tooley Racing offers a bearing and snap-ring upgrade which is a very effective and economical approach. 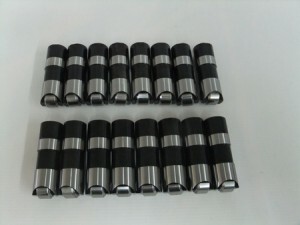 For all out racing applications and durability the best choice is the elimination of the needle bearings all together. CHE Precision offers LS rockers arms fitted with a proprietary material bushing eliminating the bearings altogether. This allows the rocker arms to survive the extreme rigors of high RPM race engines. LS7 rocker arms with the CHE Precision bushing upgrade installed. 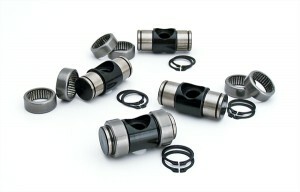 Comp Cams/Brian Tooley Racing trunion bearing upgrade kit. Depending on the cylinder head there are differences on how the rocker arms are mounted. The LS7 head has a cast in rocker arm pedestal, while all others use a separate mounted cast aluminum plate. 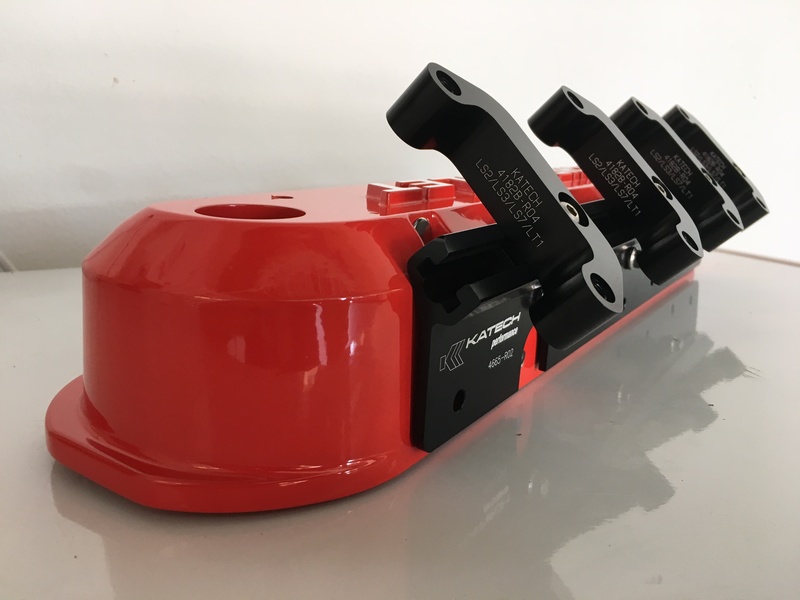 The rails for the LS1, LS2 and LS6 feature the pedestals centered on the rail. Each edge of the rail’s length is straight. The rails for the LS3, LS9, L92, and L99 are located offset with one side of each pedestal extended out. 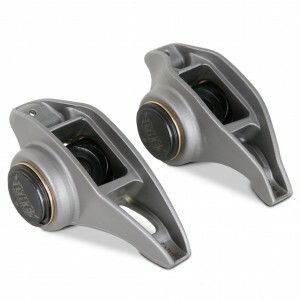 Most aftermarket heads feature cast in rocker arm pedistals for added durability and less individual parts. The OE LS7 cylinder head is equipped with a straight shape valve spring while all other OE LS cylinder heads are equipped with Beehive-Shape springs. The lower coils are round and taper up to a smaller diameter resembling a Beehive. 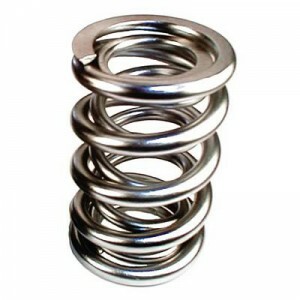 This shape provide superior dampening and control over spring harmonics. Spring technology has advanced over the past 10 years in material, weight and shape. Reducing the valve train weight helps to keep the all the components and harmonics inline. The LS valve train is a “No Lash” system. The lifter pre-load is determined by the length of the pushrod. Depending on the base circle diameter of the camshaft, the lifter and rocker arm will determine the correct length pushrod. Also keep in mind OE lifters like more pre-load compared to the Johnson 2110’s. I use Johnson Lifters exclusively on all my LS engine builds. Johnson Slow Leak-Down Rate drop-in lifters. The LS Engine has been around for nearly two decades powering millions of GM cars and trucks. General Motors has spent a tremendous amount of time and money to develop the LS Cylinder Head and Engine. With the addition of some properly ported cylinder heads, a specific high lift camshaft or a supercharger the LS engine is capable of producing excellent power with great reliability.